Electrical Engineering meets Computer Science — new paths to innovation! 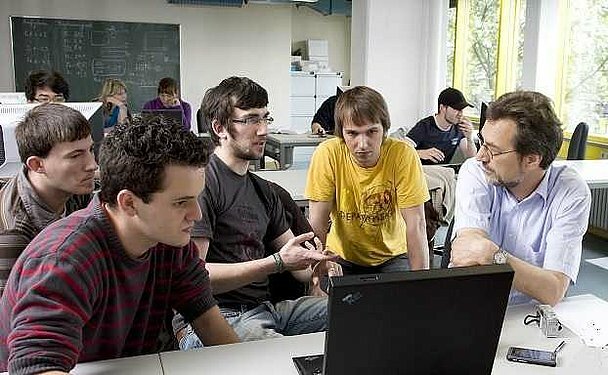 With over 700 students, 24 professors and 17 staff members, our department is one of the largest at Hochschule Mannheim. And yet, personalized assessment and practical teaching are key priorities. Our department is strong in the fields of application-oriented R+D as well as in practice-oriented theory, and has been internationally active for decades: an outstanding international Master programme, double degrees with partner universities abroad, exchange students on site, possibilities for our students to go abroad. Keep informed: On the students' site you can find everything - as simple as a click! Be curious - get linked - succeed in your personal project! What takes an engineer? To conceive, to design and to develop. You will work on new types of equipment and processes in your labs, often in cooperation with industry. Besides, internship and final thesis will bring you straight to the companies. Are you studying at one of our numerous partner universities and eager to spend an exchange semester in Germany? Interested in our international, award-winning Master's degree course? Would you like to obtain your first degree from our department? Or maybe you have already joined us and are one of our international students!